Japanese knotweed: knot a problem…? If you were to believe everything that you read then currently you may be under the impression that your property is under attack by an alien plant that can grow through anything and smashes concrete for fun. There are many horror stories around, but should you be in a panic and be unable to sleep… or is this all down to ‘scaremongering’ by unscrupulous contractors trying to make a quick buck? 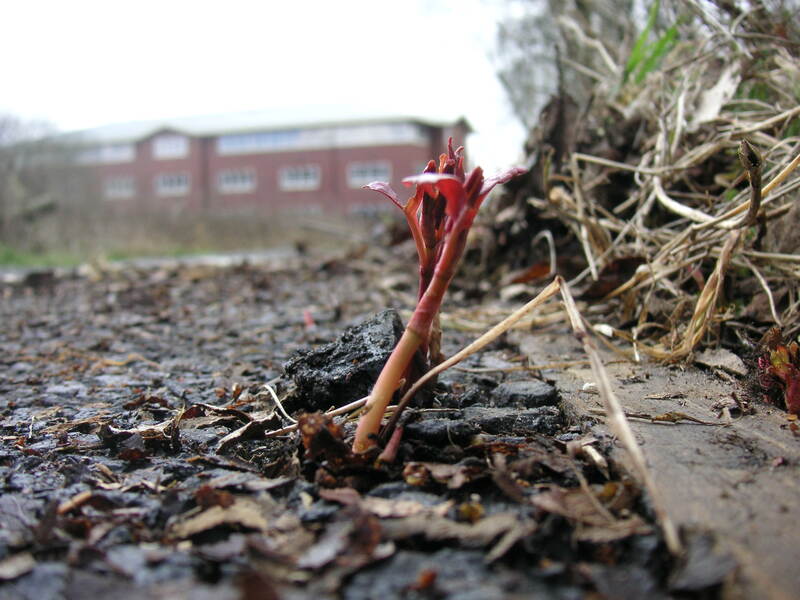 From its introduction to its rapid accidental spread, Japanese knotweed has gone from being a prized ornamental plant to an object of complete paranoia. Recent statements by mortgage lenders have fuelled this panic by stating that they ‘will not provide a mortgage on a property with Japanese knotweed within 30 metres of a boundary’. Changes in legislation last year mean that the ‘Anti-Social Behaviour Order ‘ legislation has been amended to add Japanese knotweed and other plants covered under the Wildlife and Countryside Act – this means that having an invasive non-native species within your property can result in a fine of up to £2000 for failure to act responsibly. Further EU legislation has come into force in January 2015 meaning that ‘Species Control Orders’ could now be served on negligent land owners giving the Environment Agency the power to employ contractors to clear invasive non-native species from your land … and then send you the bill! The prudent property owner should have answers for the surveyor who spots knotweed. Employing a trained specialist will alleviate most problems from picky lenders but a detailed report prepared using advice and information available on the internet should also be sufficient to push a sale through. Well documented photographs and details of precautions taken should be kept as well as marked and fenced areas where treatment has been undertaken. If a detailed programme of works has been commissioned and a careful track kept relating to areas of growth – then there should be no reason for a lender to withhold money on a mortgage. The reason that Japanese knotweed has spread so rapidly is down to landowners simply not looking at what has been happening on their less well managed sites. Most people are inexperienced in identifying plants, and take a very simplistic view – if it’s green or has flowers – then it’s ‘natural’. Japanese knotweed and Himalayan balsam are not unattractive plants during their growing period between April and October – both have attractive flowers and lush foliage – but – both will grow to the preclusion of all of our native species. Arguments will often ensue as to where the plant has originated from, thus one of the most effective precautions you can take as a property owner is to plot where the plant has been spotted. Get some professional advice. With a few simple measurements and photographs all the arguing can be sidestepped – it’s a slam dunk and a legal victory – costs would be awarded for restoring your property and removing the infestation. The advantage of having a professional involved is that they can bring insurance backed warranties in to play – and give the lenders the back up of a qualified team. However, there should be no need to panic and no need to be scared. At the end of the day the issues surrounding Japanese knotweed relate more to using your common sense than getting into a flap about alien invaders. Yes, these plants can be a problem, but they can be dealt with, without losing sleep! This post was contributed by guest editor, Mike Clough, Japanese Knotweed Solutions Ltd. For more information, email blogs@gateleyuk.com.